Stan James Affiliates has minimum activity quotas so promote at your own risk and perhaps consider CPA instead of revenue share to avoid commission issues where terms and conditions can cause you to lose earnings. Stan James Affiliates has closed many affiliate accounts citing performance with some webmasters having active referred players. Emails are not being returned to these webmasters so for these reasons we don't recommend webmasters to work with Stan James affiliate program. Stan James Affiliates is the sportsbetting affiliate program for StanJames sportsbook. The gaming brands also feature an online casino, poker room, slots, games and skill games. The site also offers mobile sportsbetting. The bookmaker first launched in 1973 and their wikipedia article mentions they have 65 land based betting shops in the United Kingdom. 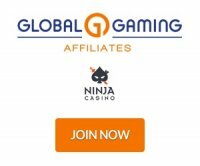 Affiliates can earn up to 35% revenue share and the starting commission rates are 25% and applies to casino, poker and sportsbook. Affiliates can be paid in many ways including Moneybookers and Neteller for ewallets plus bank wire, check-cheque and through the player account. The backend is powered with Income Access software and displays statistics on the current month for players referred. The My Account tab lets you reset your password, change your payment preferences and see your commission rates. The reports section covers everything from earnings, payments and referral reports. The Marketing Tools and Creative Search give you access to all the marketing materials you need to promote the brands. You have access to flash banners, animated gif banners, feeds and text links. StanJames bookmaker is a well recognized brand in the United Kingdom with many land based betting shops and many years of experience in land based and in online gaming. They have many different types of casino software to cater to the needs of players. Their sportsbook is powered by Finsoft betting software and cover a large selection of sporting events especially football in the UK and with a presence in European markets. The affiliate managers are helpful and fast to respond to questions and requests.